On November of 2013, I was visiting Maratua Island off East Kalimantan when I first hear about this beautiful bird. The Rainbow Bee-eater Merops ornatus is a bird of Australia which flies north during the Austral winter towards eastern Indonesian islands. I had previously seen it on the island of Sulawesi and I was really hoping to see it again. But I missed the last sighting on Maratua island that year by about one week. 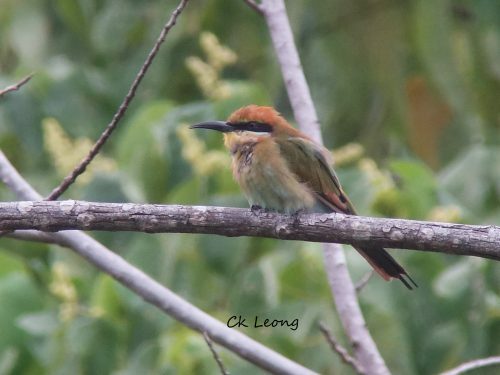 But luck returned to me this July when a group of these wonderful birds were sighted in the Silam Coast Conservation Area near to Lahad Datu on the east coast of Sabah. It was a first for this species in Sabah and I was very thankful for this opportunity to visit it again.